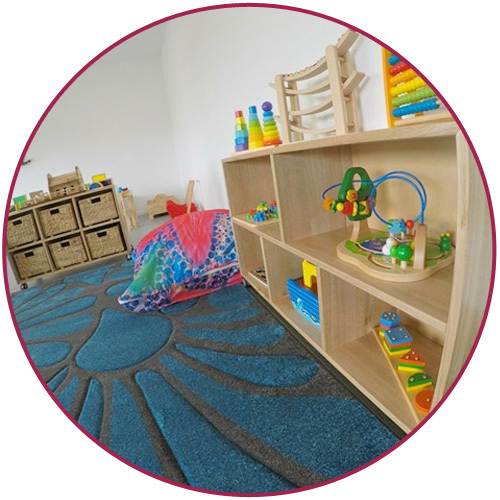 Whether your child is transitioning from our nursery or just starting their early education journey with us, our toddlers’ room is filled with fun and exciting activities on a daily basis. As they transition from babies into toddlers, our passionate team of qualified educators are ready to support and encourage their natural instincts to explore the world around them. At this stage, they work on self-help skills like using spoons during meals and adequate hand-washing routines and start getting used to a learning environment, as they learn about colours, parts of the body, animals, and numbers in age-appropriate activities. At Strathpine Early Learning Centre, we provide nutritious meals which are prepared daily in the centre, so you don’t have to worry about packing lunch every day. Our toddlers room has its very own outdoor playground, which has been specifically designed to inspire children’s learning through play. Our children spend time outdoors on a daily basis. Our toddler room can accommodate 12 toddlers on our busiest days.